As we usher in the year 2019, please allow me to extend my New Year’s greetings to all of you. This year will mark a major milestone for Japan as the current Emperor will abdicate and His Imperial Highness Crown Prince will ascend the throne. The current Emperor ascended the throne in 1989, a year in which Japan was at the height of the so-called bubble economy. As symbolized by the fall of the Berlin Wall, the Cold War came to an end that year, too. Some thirty years have passed since then. Japan and the wider world have seen a sea change during that period. In his book “The End of History and the Last Man,” American political scientist Francis Fukuyama argues that democracy and free market economy will prevail, which in turn will enable liberal democracy as the final form of a social system to ensure peace, freedom, and stability of society. However, such a hypothesis has yet to be materialized in the world today. On the contrary, we are witnessing deepening social divides and rising populism in the U.S., European countries and elsewhere. This suggests that a weakness inherent in democracy is coming to the fore. In Japan, a number of measures have been taken to address the fallout from the bursting of the bubble in the early 1990s. Nevertheless, the country still faces myriad challenges; it continues to suffer a falling birth rate and a ballooning aging population, and acute labor shortages are putting further strains on Japan’s regional economies and communities. If such trends are to continue, in the long run, we will likely see a decline in the overall economy, failure in various social systems and mechanisms, and deterioration in disaster preparedness. All these could threaten to undermine the very foundations of our country. While such major changes are sweeping around the world including Japan, we are also seeing that rapid advances in technological innovation, such as digital revolution, are paving the way for a new era or what is collectively referred to as “the Fourth Industrial Revolution.” Cutting-edge technologies -- artificial intelligence (AI), the Internet of Things (IoT), big data, robotics, to name but a few -- are already used widely in economy, society, and many aspects of people’s day-to-day life. The Fourth Industrial Revolution is expected not only to offer solutions to a variety of social and structural problems facing the world but also to create new values so as to realize a human-centric, richer society for all. But at the same time, the Fourth Industrial Revolution is advancing technologies of entirely new dimensions at an unprecedented pace like we, as humans, have never experienced before. This is posing yet another challenge for us as to how to deal appropriately with such a rapid transformation, including a response to a changing social structure. To gather wisdom and respond proactively to such issues, the Toyota Foundation has created a new Special Subject program “Co-Creating New Society with Advanced Technologies” We plan to announce this spring those projects that have received the grant. As I described earlier, Japan is facing a number of challenges. We, the Toyota Foundation, are committed to identifying issues promptly as much as possible and promoting our activities, with a future-oriented mindset for creating “a better tomorrow.” To make use of our limited resources, we will focus on projects with our criterion of “genuine social significance” in mind. We would like to work closely with all of our stakeholders on an as-needed basis, and strive to make success of any given projects. I respectfully request your continued support and advice from now on, too. Lastly, I would like to wish you happiness and prosperity in the coming year. Thank you. At the start of fiscal 2019, I would like to extend my greetings and express my deep appreciation for your understanding and support for the activities of the Toyota Foundation at all times. We are witnessing a transition from the Heisei era to the new one named Reiwa. For those of us who have lived through the 30-odd years of the Heisei era, this transition conjures up overwhelming emotions in our hearts. It is important for us to appreciate that the Heisei era has proven to be, undoubtedly, a peaceful period. And yet, Japan has been unable to pull itself out of economic doldrums and has been struck by a number of unimaginable levels of natural disasters in various parts of the country. Such memories are still etched deeply in our minds. In 1995, a great number of volunteers came rushing to disaster-hit areas for assistance in the wake of the Great Hanshin-Awaji Earthquake. In the years since, the power of volunteers has given prominence to the role of non-profit activities in Japanese society. A growing wave of such activities resulted in the establishment of the Act on Promotion of Specified Non-profit Activities in 1998, making the then still-unfamiliar acronym NPO widely accepted among people, followed by the reform of the public-interest corporation system. In 2010, the Toyota Foundation also became a public interest incorporated foundation, thereby marking a major milestone in its history. As non-profit activities were gathering pace, the 2011 Great East Japan Earthquake prompted Japan to harness the power of volunteers, NPOs, public-interest corporations and other actors in concert with rescue efforts by governmental organizations and businesses. All these efforts contributed greatly to helping disaster victims and rebuilding vast swathes of ravaged areas and such memories remain fresh to this day. I believe that non-profit activities will continue to breathe life into Japanese society from now on, too. Since around the turn of the century, communications and information technologies have made unprecedented advances, enabling people to connect with one another across national borders via the internet. Nowadays, people of all ages virtually cannot live without smartphones. Moreover, further advances in robotics, Internet of Things (IoT) and artificial intelligence (AI) are likely to have a huge impact on how people live and work in the years to come. Under these circumstances, the Toyota Foundation has decided to review and revamp its grant programs, with its grant solicitation-centric structure in place. 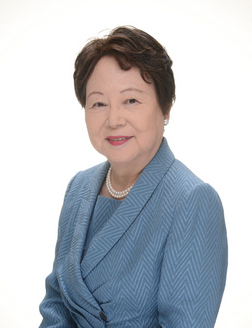 While we will keep the three-pronged framework of Japan, Research and International Grant Programs, in view of a future defined by the Fourth Industrial Revolution and Society 5.0, we have since last fiscal year launched the program Specified Topic “Co-Creating New Society with Advanced Technologies” – designed to examine effects of AI and other cutting-edge technologies on human society and study how to leverage those technologies appropriately. More recently, the Japanese government has started pushing policies of accepting global talent. Of various challenges facing us regarding this issue, we are looking to introduce by the end of this fiscal year a new specified topic program focused on the recruitment of highly-skilled personnel including international students, in particular, as well as the creation of a space for communication and face-to-face interaction with local residents, among other things. Either of these topics -- leading technologies and the acceptance of global talent. – will have a significant impact on what Japanese society will look like in the future. By drawing on our unique ability to foresee emerging trends, we, the Toyota Foundation, are committed to making grants to future-oriented, socially significant, and highly influential projects and actively applying outcomes of such projects to problem solving. In the new era, we will continue to strive toward the Foundation’s founding mission “for the sake of greater human happiness.” I would like to sincerely ask for your continued guidance and support for us.